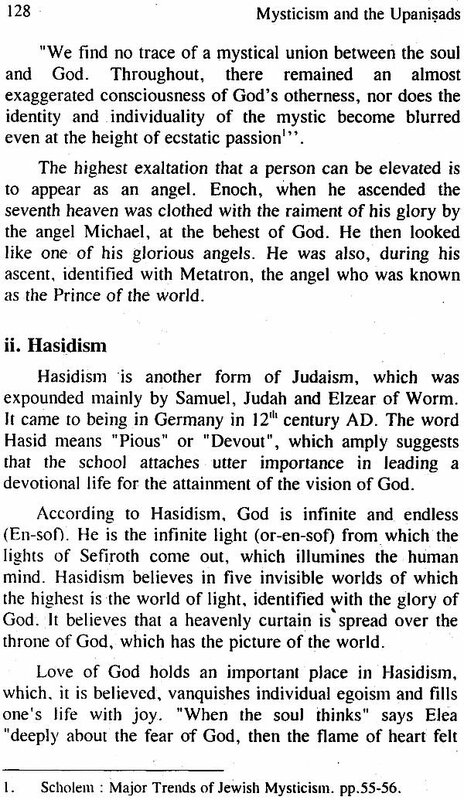 The direct experience of Reality, expressed through various appellations like God, Brahman etc. and the endeavour there of is known as Mysticism. The Upanisads are the earliest literature of mysticism not only of India but also of the whole world. They are vivacious with the highest mystic truths and experiences that man could ever achieve. All aspects of mysticism find abundant expression in the Upanisads. The book MYSTICISM AND THE UPANISADS is based on an extensive survey of Upanisadic mysticism and that of other prominent religious of the world. The work highlights the varieties of mystic experiences and expressions manifest in Upanisads and elsewhere, in addition to methods for achieving the mystic goal. 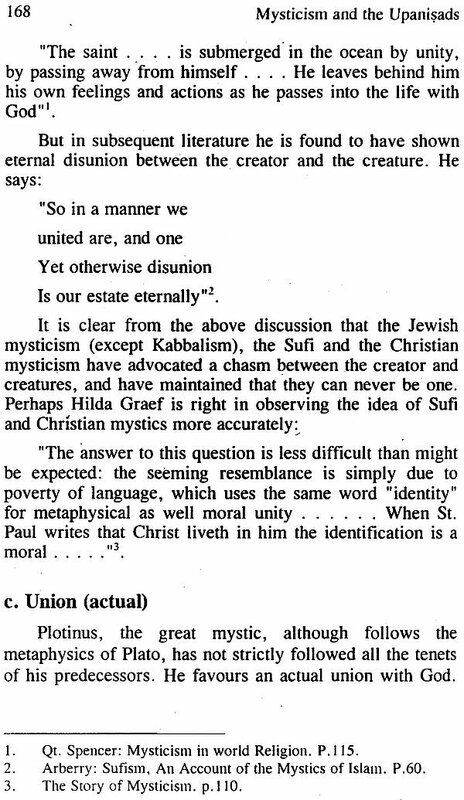 The comparative analysis of Upanisadic mysticism with that of other important world religions not only reflects the scholarly depth of the author but also makes the work a unique contribution to the literature on mysticism. Dr. Indulata Das, born in 1956 in Balasore, Orissa, has the distinction of being the best graduate with Sanskrit Honours, Sambalpur University, Orissa in 1976. She did her MA (Sanskrit) from Banaras Hindu University (BHU) in 1978. With a brilliant academic career, she joined the Orissa Education Service as a Lecturer in Sanskrit in the year 1979. She was awarded the degree of Ph. D. by BHU in 1995. Having taught in various Government Colleges, she is now serving the State Council of Educational Research and Training. Dr Das is a well-known creative writer in Oriya. Apart form contributing about two hundred article in various daily papers and literary magazines, her published works include one novel, four story books, one book on Oriya language and grammar and translation of Sanskrit drama (Swapnavasavadattam). Beside, she has a number of research articles to her credit, published in various research journals. Her commentaries on Sankhya Karika and Patanjal Yoga Sutra are in print. Since the dawn of creation, man has been incessantly craving for happiness. The material world has failed miserably to pacify the conflagration of human desire to enjoy a boundless bliss. The objects of pleasure, instead of extinguishing the desires, have manifolded them. Man is yet to overcome his sorrows with the help of the objects of the material world. Having realised the insufficiency of the outer world, we the venerable sages of the past had turned the direction of their expedition from the outer world to the inner one and discovered the ever-coveted treasure of treasures, the peace, the respite of the soul, the happiness eternal. The exploration of man ended fruitfully. The sages did succeed in discovering the path to endless bliss. Without consuming the results selfishly, the kind- hearted, magnanimous, benevolent sages wanted to transmit the secrets of their adventures to the world through deserving posterity, who could successfully pass on the same to others, without causing it to perish on the way. For the careful protection and transmission of this precious knowledge, it was unavoidable to impart it to the deserving, the reliable person, who could, not only acquire it, but also preserve it and carefully pass it yet to another person, for further transmission. Since the deserving disciple received the serious knowledge from the competent master in an intimate atmosphere, the knowledge has been significantly named UPANISAD which literally means "sitting near" signifying the intimacy of the disciple and the teacher which further signifies the gravity and seriousness of the knowledge. 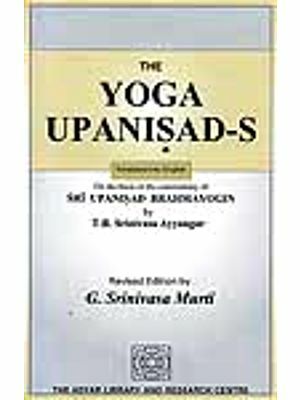 The Word Upanisad The word "Upanisad" has been derived from the root "sad" by prefixing "upa" and "ni" and suffixing "kvip" to it. The root "sad" stands for three meanings', viz. split up, go and loosen. 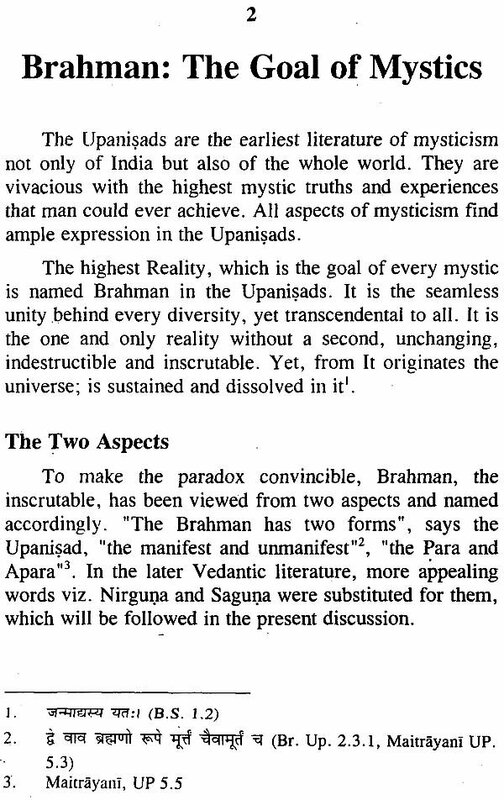 In accordance with the triplicity of the rootal meaning, Sankara presents threefold definition to the term Upanisad. First, it is the knowledge which destroys the seeds of worldly existence like ignorance etc. Secondly, it is the Brahmavidya or the knowledge of Brahman, which leads the aspirants to Brahman. Thirdly it also signifies the knowledge, which loosens or weakens the miseries of hovering in a womb, birth and old age etc’. Upanisad, according to Sankara, can also mean the valuable scriptures, which contain the mentioned knowledge just as ghee is called longevity indirectly. Sayana defines it as Brahmavidya or theosophy. The prefix according to him, means "near", and nothing other than one's own self (which is Brahman) is nearer to a being. Max Muller takes the word to mean an assembly. Says he, "The history and the genius of the Sanskrit language leave little doubt that Upanisad meant originally session, particularly a session consisting of pupils, assembled at a respectable distance round their teacher". According to Deussen, "Certain mysterious words, expressions and formulas which are only intelligible to the initiated, are described as Upanisads". 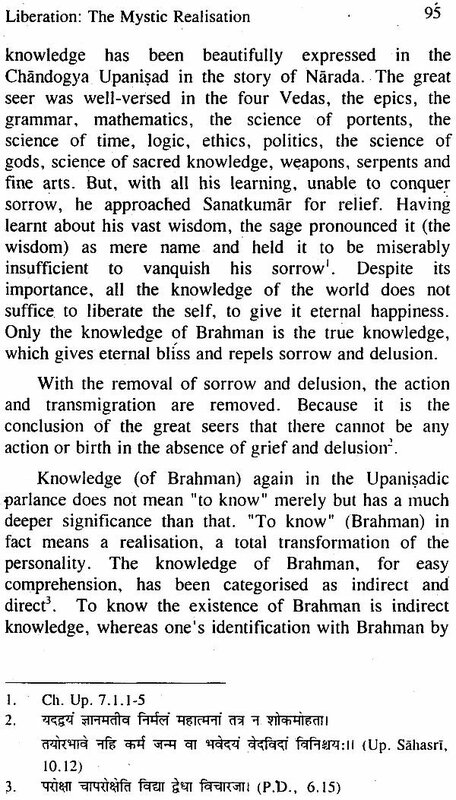 Oldenberg tries to derive the word Upanisad from "Upasana"
Being the last and the most essential part of Vedas, it is called Vedanta. 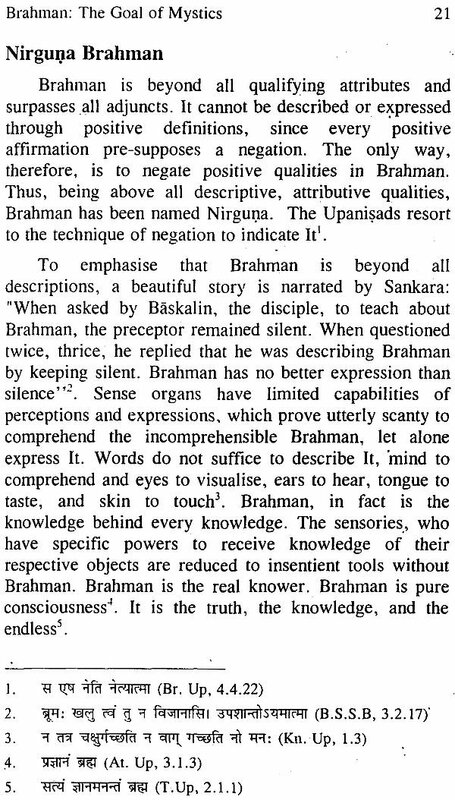 Svetasvatara Upanisad" views that "Brahman" rests in the Upanisads, which are the essential parts of the Vedas. It is hard to determine the actual number of Upanisads. The Muktikopanisad considers 108 Upanisads to be the most important of them, remaining silent about the total numbers. Darasikoh has translated 50 Upanisads to Persian. Paul Deussen has translated 60 Upanisads but accepts 14 as authentic. Max Muller translated 11 Upanisads whereas Hume translated l3 of them. 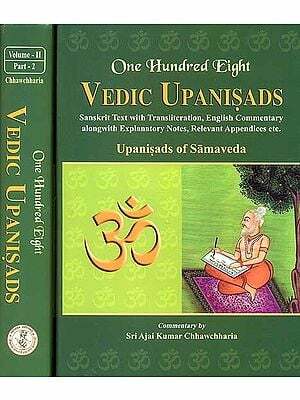 According to Gargyayana, the actual number of the original Upanisads is 16, four belonging to each Veda. In accordance with the need of the time, they were subsequently elaborated into one hundred and eight and two hundred and fifty by Brahmanas and Rsis respectively. So the Upanisads amounted to three hundred and fifty six, which are only commentaries on the original sixteen’. It shows that there are a number of Upanisads counting at least more than 108. Sankara has commented on 11 Upanisads viz. Isa, Kena, Katha, Prasna, Mundaka. Mandukya, Taittiriya. Aitareya, Chandogya, Brhadaranyaka and Svetasvatara, which are regarded as the most important ones. 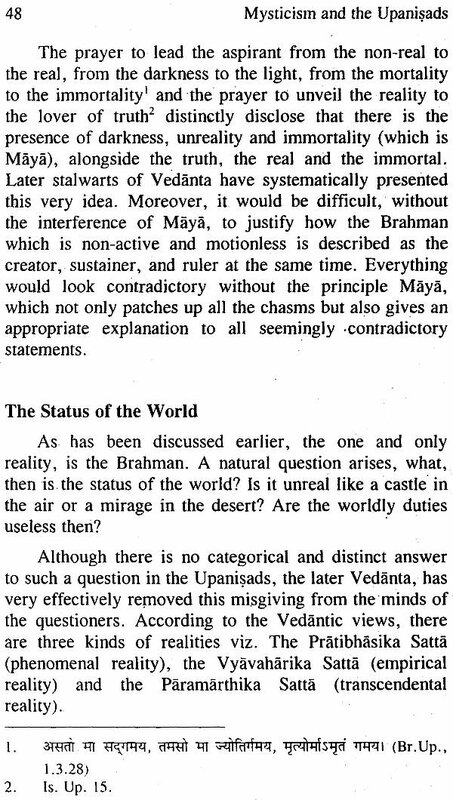 But it is yet to be decided whether the commentary on Svetasvatara is by Adi Sankara or not. The Isa Upanisad, which is otherwise known as the Isavasyopanisad, because it starts with the same words; forms the last and the fortieth chapter of the Vajaseneya Samhita of the Vajaseneya School of Yajurveda. The essential theme of the Upanisad is the immanence of the Supreme Reality in the world. It attaches immense importance on right living in the world by realising the truth that the world is but pervaded by God. It does not find it impossible to lead a divine life in the world. It is the only Upanisad, which forms the part of a Samhita. It is a very small one with no division of chapters. The Kena Upanisad belongs to the Samaveda and is a part of the Talavakara Brahmana. Like lsopanisad, it also derives its name from the opening words of the text'. It has four chapters of which the first two are in verses and the latter o11es in prose. The poetry section deals with the Nirguna Brahman, whereas the prose section discusses the Saguna Brahman. The Katha Upanisad, otherwise known as the Kathaka Upanisad, belongs to the Taittiriya school of Yajurveda. It has the famous story of the child prodigy Naciketa and Yama, the god of death. Having won the heart of Yama, with his sincerity and dispassion, the brilliant child acquires the knowledge of self from the death god. The Upanisad mainly deals with the above—mentioned knowledge by which one becomes free from the cycle of birth and death. It also hints at the Yogic path for the realisation of Brahman. The Prasna Upanisad belongs to the Atharvaveda. It derives its name fron1 the six questions put to the preceptor by the disciples, which form the six sections of the Upanisad. The Upanisad deals with the ultimate cause, discusses about Om and exposes the relation of the Supreme Reality to the world. The Mundaka Upanisad, which is derived from the root "Munda" to shave (the hair of the head), may be taken to hint towards the shaven Sannyasins who deserve the knowledge of the Upanisad. It belongs to the Atharvaveda, and has three chapters, which have two sections each. It distinguishes between the higher and the lower knowledge, which refers to the knowledge of Brahman and that of the world respectively. The Mandukya Upanisad, which is very important but very small in size, contains twelve sentences only. It belongs to the Atharvaveda. It divides —the human psychological states and exposes the mystery of Om. It identifies the three quarters of Atman with the three letters of Om viz. A, U and M. It identifies the fourth quarter of Brahman with the partless Om. The first commentary, written on the Upanisad is the Mandukya Karika, composed by Gaudapada who is said to be the teacher of Sankara’s teacher. 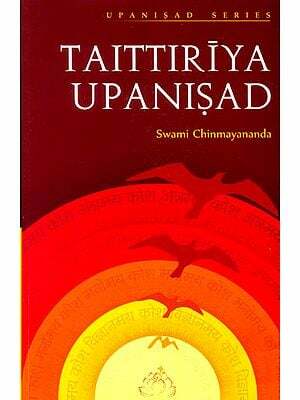 The Taittiriya Upanisad belongs to the Taittiriya school of Yajurveda. It is divided into three Vallis. The first Valli, known as Siksavalli, deals with the science of phonetics and pronunciation and the duties of an ideal man. The second and third, known as Brahmanandavalli and Bhrguvalli respectively deal with the knowledge of the Supreme Self. The Aitareya Upanisad belongs to the Rgveda and comprises of the iv, v and vi chapters of the Aitareya Aranyaka. It aims at leading the mind of the sacrificer from the outer to the inner meaning of sacrifices, because the true sacrifice is always internal. According to Sankara, there are three kinds of people, of which one group cares only for the material possessions, the second wants liberation gradually by attaining the world of Hiranyagarbha, and the third category is eager to get liberated at the earliest. The Aitareya Aranyaka (iii) is meant for the first category, whereas the second chapter of the same is meant for the second category. The Aitareya Upanised is meant for the third category. The Chandogya Upanisad belongs to the Samaveda. It has eight chapters, out of which the first and the second chapters discuss the liturgy, the doctrine of creation, the significance of Om and the meaning and names of Saman. The remaining chapters deal with the knowledge of the Ultimate Reality. Brhadaranyaka forms a part of Satapatha Brahmana of the Yajurveda. It consists of three Kandas or sections. The first Kanda expounds the identity of the individual self with the universal self. The second Kanda deals with the methods of worship and meditation, and the stages of self-realisation viz. the Sravana, Manana and Nididhyasana. The third is Khila Kanda, which deals with certain methods of worship, meditation etc. Of the two recensions of the Satapatha Brahmana viz Kanva and Madhyandina, the former has been commented upon by Sankara. The Svetasvatara Upanisad belongs to the Taittiriya school of Yajurveda. It derives its name most probably from the sage who taught it first'. 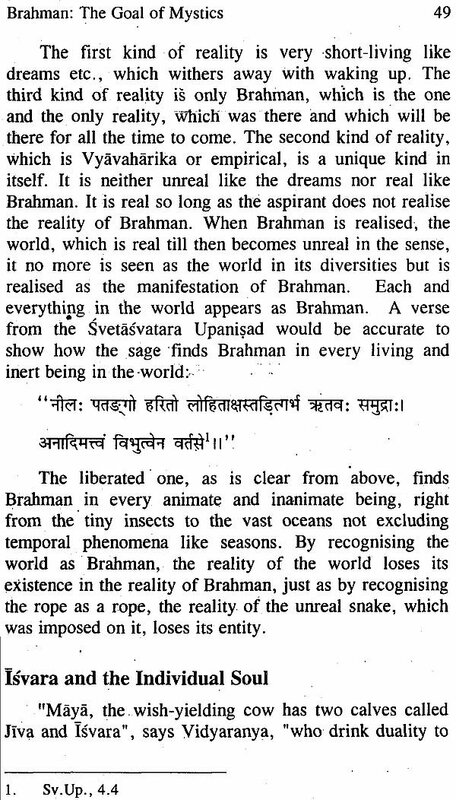 The main theme of the Upanisad is that it holds Rudra (Brahman) as the material and efficient cause of the world. 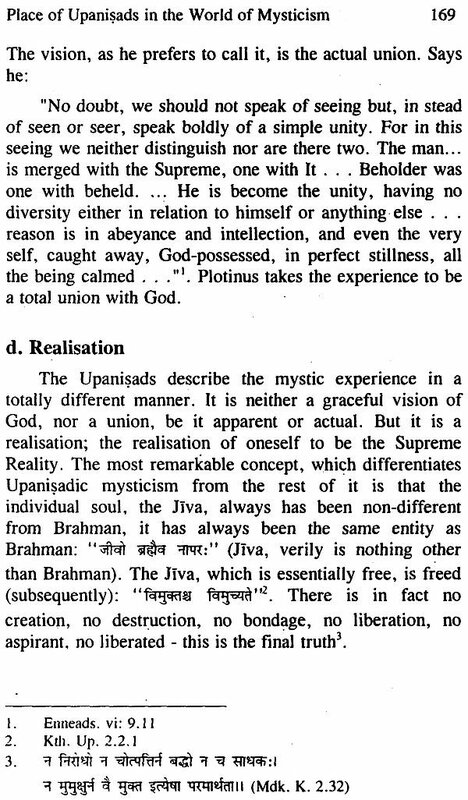 It is the Upanisad, which uses the word Maya for the first time in the same sense as is used in the Advaita Vedanta. It gives a few details about Yogic practice. It is a difficult task to guess the dates of the Upanisads precisely. It has been a traditional belief that the Vedas (which comprehend Upanisads as well) are without beginning. which suggests nascence of the Upanisads simultaneous to the creation of the Universe! A minute analysis reveals that the composition of various Upanisads may be safely attributed to various centuries, not excluding even the Moghul period. 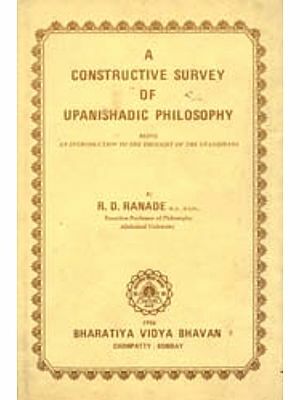 Ranade fixes the upper and the lower limits of composition of the major Upanisads between 1200 and 600 BC and "the later Upanisads of the above canon", according to him "may be seen to be dovetailed into that next period of Indian thought when Buddhism was germinating" ‘Radhakrishnan fixes the date of the early Upanisads as 1000 B.C. Kat hopanisad, according to him is not very antique. "We find in it" says Radhakrisnan, "elements of the Samkhya and Yoga system. It also quotes freely from the other Upanisads and Bhagavad-Gita". Thus, the earliest and the authentic Upanisads are certainly pre—Buddhistic, although the minor ones have been composed in the later centuries. The period after the composition of Vedic hymns and before the advent of Buddhism is thus the period of composition of the major Upanisads. The theory of the modernity of Kathopanisad does not stand adverse criticism. It is more logical to think that Gita, which is called the milk-of the Upanisadic cows, has borrowed from the Kathopanisad instead of holding that the latter has done so from the former. Secondly, the elements of Samkhya and Yoga are not sufficient to disprove the antiquity of the Upanisad, since like all other schools of philosophy. The said schools could have taken their basic ideas from the Upanisads, particularly from the Katha itself. It is a misfortune but a pride at the same time that the ancestors, who actually brought the sublime ideas of Upanisads to existence, have in almost all the places, not cared to express their identity. 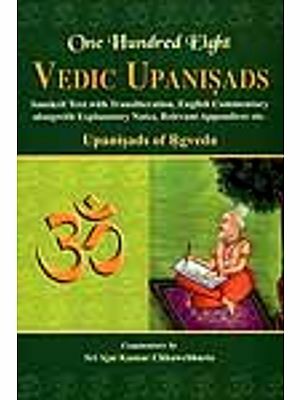 As a result, the Upanisads come down to us mostly as dialogues between mythical characters like Narada, Sanatkumar, Yama, Naciketa, Prajapati and Indra etc. Of course, it is difficult to say that these names are mythological and hence fictitious. Mythology, which has a later date to its credit than the Upanisads, could possibly have borrowed the names from the Upanisads. 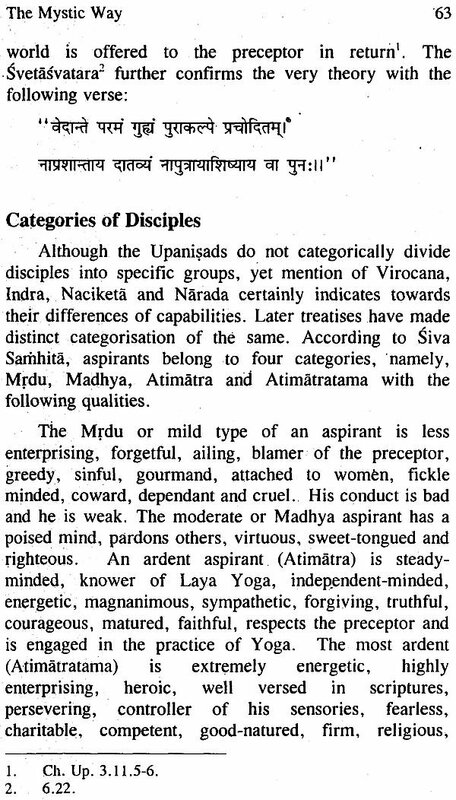 Apart from the above-mentioned - names, other personalities like Uddalaka, Svetaketu, Jaivali, Satyakama, Pratardana, Ajatsatru, Varuna, Yajnavalkya, Gargi, Maitreyi, Mahidasa, Sandilya etc. find place in the Upanisads. But, there is no clue to prove that the names mentioned are mere characters and have nothing to do with the actual seers, responsible for the great literature. The present work concerns the mystic portion of the Upanisads. Which is the essence of these, and for which the Upanisads, have become the crowning glory of the mystic world. Says Zaehner, "no treatment of mysticism that claims to be serious can afford to ignore the all important Indian contribution"'. A humble attempt, therefore, has been made in the ensuing chapters, to explore into the mystic depth of the Upanisads devoting, of course, the first chapter to the meaning and matter of mysticism. 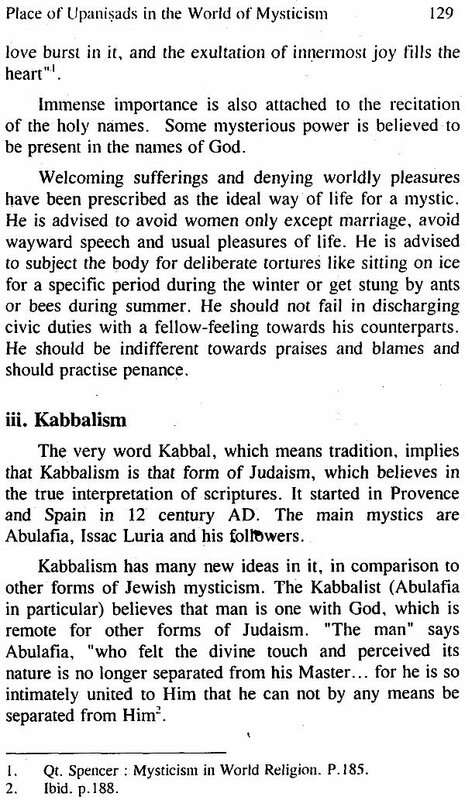 In the last chapter, a study has been made about the various important non- Indian mysticisms of the world and a comparison has been done with the Upanisadic mysticism.